Christmas came early! 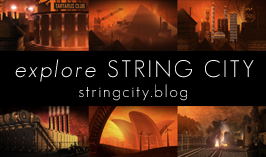 I just received advance copies of my new novel String City. Hurrah! But, oh dear, this special delivery comes with a twist.